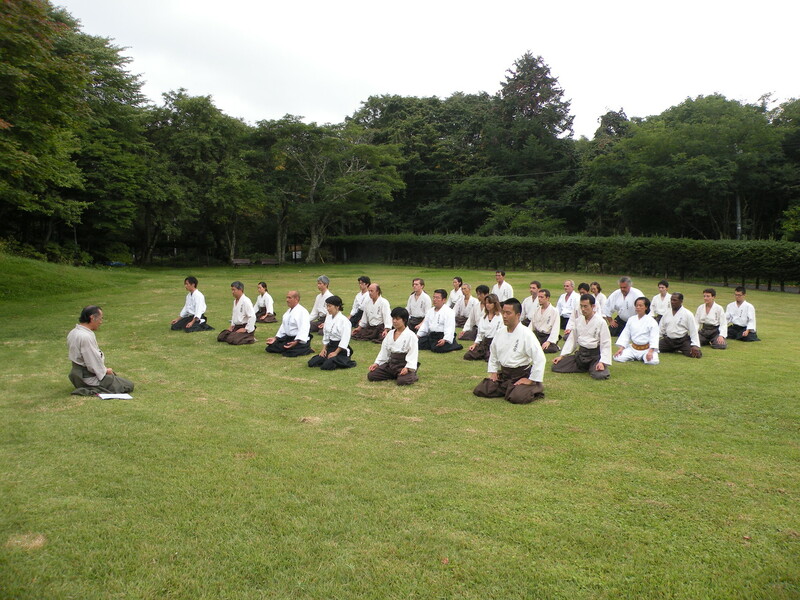 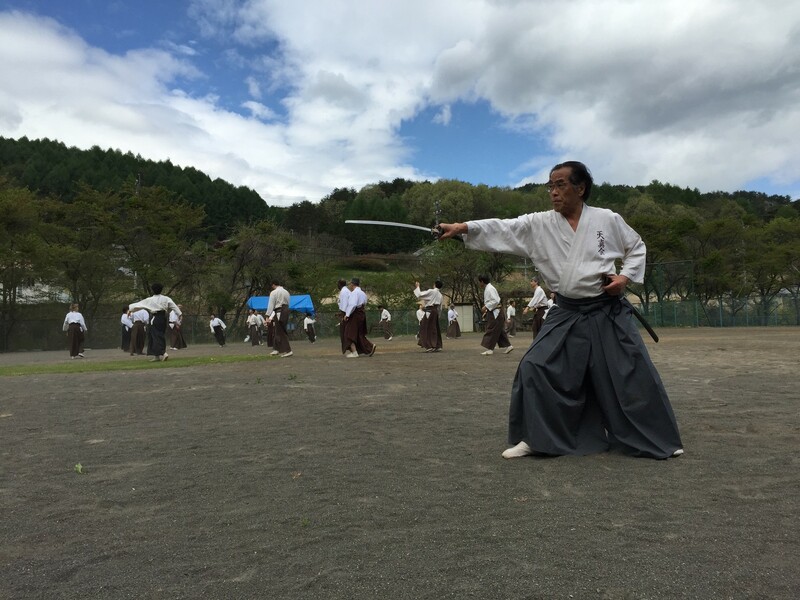 Founder Hiroyuki Aoki started creating Kenbu Tenshin Ryu in 2007, and it was officially introduced in Japan in 2009. With much revision and further development, the Kenbu Program finally came into completion in 2012 and has spread worldwide today in Japan, France, Italy, Brazil, and the United States. 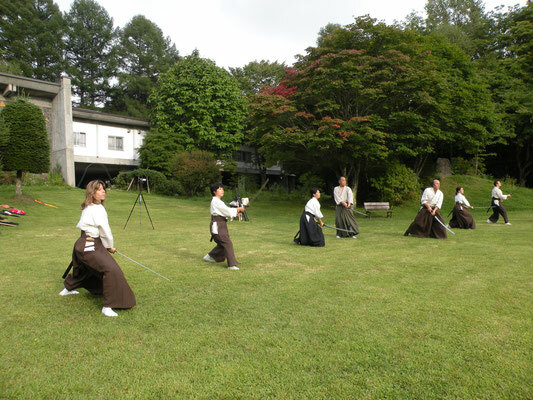 Founder Aoki is also renowned worldwide for his creation and development of Shintaido 新体道 (written "New Body Way") in the 1960s, which has also gained worldwide recognition as a magical arts form. He has adopted the main characteristics of Shintaido that effectively develops one's physical abilities and integrated them with Iai-Batto Kenjutsu, giving birth to Kenbu Tenshin Ryu. 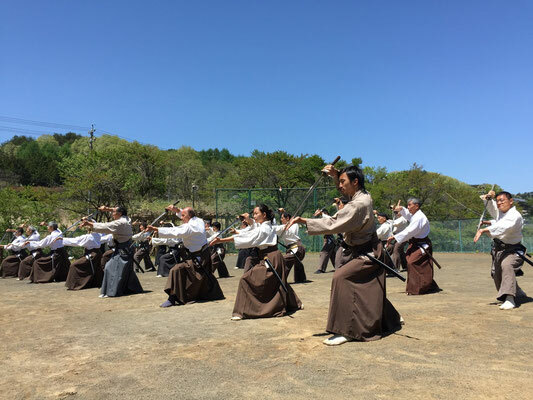 Movements practiced in Kenbu Tenshin Ryu are based in what Founder Aoki learned from his Master Shigeru Egami, which had been passed down to him from Master Hoken Inoue. Although Kenbu and Shintaido share similar techniques and movements, they have been developed even further in Kenbu Tenshin Ryu. 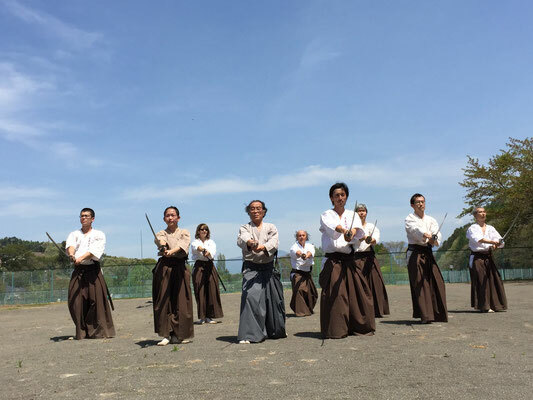 Kenbu Tenshin Ryu practice is comprised of theory, foundational exercises and body practices, basic sword techniques, basic attack and defense techniques, basic kata (form), applied kata, applied kumite (partner practice), and more. 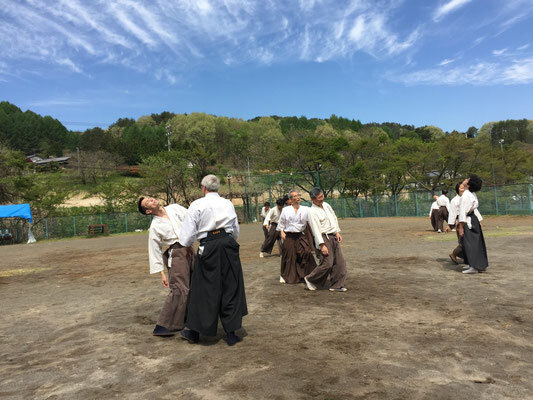 However, despite the grand scale of the program, as you will find out for yourself once you start practicing, it is extremely accessible to beginners since the techniques can be acquired step by step in relation to the other techniques. With Founder Aoki's uncompromising effort to refine and create new techniques and methods of practice constantly, Kenbu Tenshin Ryu is still and will always be a work in progress, evolving fluidly with the changes of time.